Like an adult's basic white T-shirt, this white Gerber® Onesies® should be a mainstay in any baby's closet. Besides, is there anything cuter than a baby in a Onesies®? We think not. 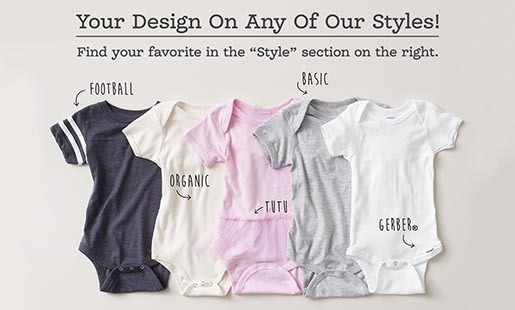 And these 100% cotton Gerber® white baby onesies are made to stand up to multiple diaper changes and washes. They're the perfect layering accessory on a cooler day–just put one on under your favorite outfits to keep baby's tummy extra warm.